Microsoft has apparently put together a special marketing campaign to help push Windows Phone sales for the enterprise. Microsoft is apparently looking at two different presentation packages for businesses. One uses a "premium packaging concept development," designed for "decision makers in organizations with large handset opportunities." The other is a "mid-range concept development," focused on those who make the phone buying decisions in small and mid-sized corporations. All of this was found on documents with the title "Microsoft Lumia with Windows 10 Trial," suggesting that businesses will be given the opportunity to try the Windows Phone platform for employees. The packaging will be designed to "protect the devices while in transit, showcase the devices in their best light, reinforce the idea that Microsoft Lumia devices are the best choice for business, and show how easy the devices are to set up, integrate and deploy." The premium packaging could be something akin to an expensive travel bag that would contain a Windows Phone, a phablet, a Surface Pro tablet, and instructions. The quality of the bag would have "the same high production standards of Microsoft Lumia devices." The bag features Microsoft branding with blue stitching and lining. The company will be allowed to use the bag during the length of the trial. The mid-range packaging isn't nearly as elaborate, consisting of stackable boxes that would contain Windows Phone devices and phablets (no Surface Pro tablets). The boxes would "contain the welcome letter and support materials to get the trialist quickly up and running. The layers underneath will hold the devices, boxed in their existing packaging to reduce fulfillment time and further protect the devices. The device boxes sit within a blue case, which reflects the ‘Windows 10 brand guidance and mirror the ‘Your Business. Mobile’ theme." 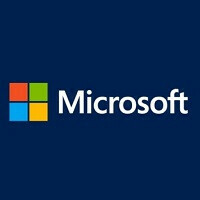 Since this marketing would be focused on the enterprise, Microsoft might not make any kind of announcement when the campaign is up and running. It is possible that the plan will be deployed prior to the rollout of Windows 10 Mobile to consumers in the U.S. I actually like the bag more than the phones. Lol I am sure I'll pick up a Surface pro one day though. I thought it said mobile division...got scared for a bit. This is actually a great idea! Microsoft is essentially making a simultaneous, two-pronged "attack" on the consumer and enterprise market with their Windows 10 devices. If they don't gain traction in one area, they're sure to gain traction in another...brilliant move, Microsoft! Enterprise is Microsoft home turf. My whole organisation has Microsoft solutions in one form or another, except for mobile. Damn really want one of those bags nice move.